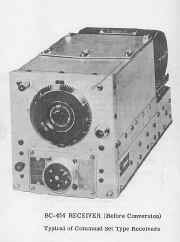 BC-454 or ARC-5 Receivers, Conversion to 28 Mc. 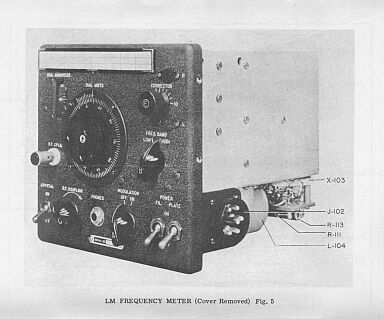 AN/APS-13 Transmitter / Receiver, to 420 Mc. BC-457 or ARC-5	Transmitters, Conversion to 28 Mc. 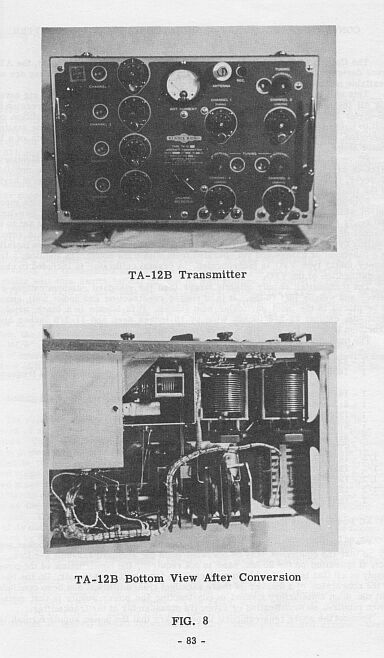 ARC-5 VHF Transmitter / Receiver, Operation. GO-9/TBW	Transmitter, Conversion incl. 28 Mc/s. BC-357 Marker Receiver, to Capacity Relay. BC-946B Receiver, to High - Fidelity Tuner. BC-375 Transmitter, Use with Ext. V.F.O. 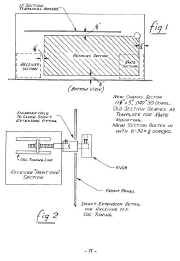 AN/ART-13 Transmitter, to A-C power and 28 Mc. AVT-112A Transmitter for Light Aircraft. AM-26/AIC Interphone Amplifier, to 9-Watt Amp. 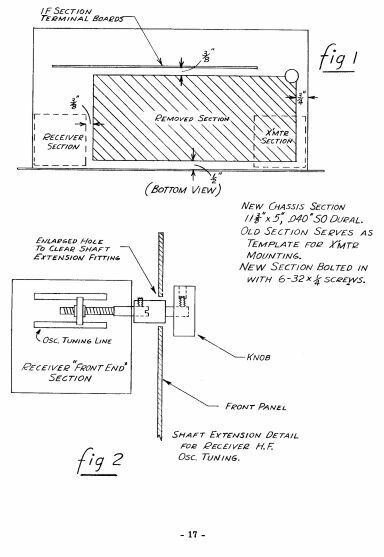 Rotators Surplus Beam Rotating Mechanisms. 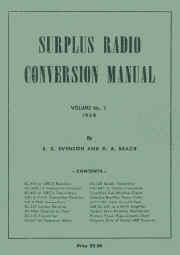 A very interesting manual produced to help with the conversion of ex-government radios for amateur radio use. Though it is looked upon as a sin amongst collectors to modify a vintage radio, if the set has already been modified in the distant past, it is not going to make much difference now. I sprayed my first 19 set white and converted it to a MW transmitted back in the late 1950's. 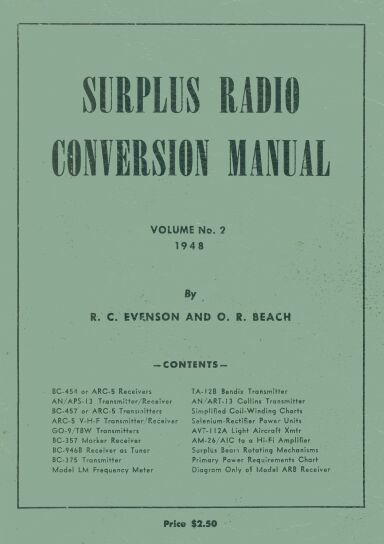 The Surplus Radio Conversion Manual includes Circuits Component Values and Drawings.